Based on the Fixed Deposit (FD), given a fixed rate at 3.5% per year, at the end of 10 years, it would generate 35% return of investment. Since the expectation of Unit Trust would be higher than FD, would it possible to earn 7% per year instead? For unit trust, just to make sure how much % return is to be considered as a low risk? medium risk? or high risk? The answer would be definitely, the highest rate of return with a lowest risk investment would be the best choice. Would 7% consider a low risk? medium risk? or high risk? in the description for the unit trust seller? Is there a low price high price status in the Unit Trust to ensure we have bought it at the lowest price possible? Have we all find it out? Everyone knows that unit trust is not a fixed interest rate return, but being managed by professionals. Therefore our luck and research is fully merely dependent on the professionals. 1. What is Unit Trust? A Unit Trust fund is not a saving tool, but with a professionally managed investment fund, from individual investors or corporate investors with similar investment objectives. Fund managers can invest the money into stock market, bonds, money market, property or others according to the investment objectives of the fund. There is no fixed interest rate like Fixed Deposit and there is no guarantee of Return of Investment as it involves risks. 2. Why we invest in Unit Trust? We may consider it still as a low risk as it invests in many different sectors or asset allocations (diversification), managed by professional fund manager, which it is actually more liquid than share. Other than that, it does invest in bond market or foreign stock market, where normal individual investors cannot invest into with the advantage of compounding. 3. Disadvantages in Unit Trust? Diversification may reduce the returns and having limitation on investment strategies, which follows strategies stated on the prospectus. 4. Is there a variety of Unit Trust in the market? Bond Fund: Lower risk, mainly invest in bond market. 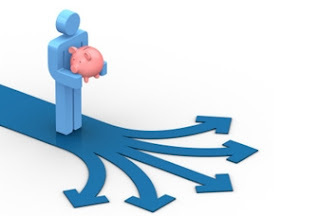 Income Fund: Lowest risk, mainly invest in fixed income securities, such as Fixed Deposits. Dividend Fund: Moderate risk, mainly invest in high dividend yield stock. Index Fund: Invest in all the Composite Index contributing stocks. Balanced Fund: Moderate risk, invest in both stock market and bond market. 5. If market going down, should I sell Unit Trust? No. It is not necessarily as Unit Trust has diversification in different regions or different sectors. 6. How long should we hold Unit Trust? Should hold at least 3 to 5 years. If we sell in less than a year, most probably we do not earn as we need to pay the service charge. What do we learn from here? Look for medium risk, buy when it is definitely knowing it is cheap and low price. a) When we are able to make at least 15% in 2nd year, it is equivalent to 7% per year. b) If in the 3rd year with the same 15%, it would be equivalent to 5% per year, we would be in the losing side. Some even in the negative % return. Therefore knowing how to calculate % would be meaningful in investment by making 3.5% Fixed Deposit yearly as a guideline. Read about you at CompareHero's 2016 Financial Tips article. Wanted to say Hi, and wish you the best. We need more writers who write about meaningful topics! Life : Human Smartest in this Planet, really? "Human Species" issue : Death is part of life vs Immortality. From my opinion, there is still a hope out there. It's the human duty to discover and uncover these mysteries as everyone believe themselves that human claim to be the smartest in this planet. I won't run into a topic where dead people could become alive. But instead where aging people should become youthful. To date, I am still performing self-study on the topic, and found out some interesting issue or puzzle which I hope to discover it one by one. What things trigger me to look into this topic as our parents issue is actually ours issue. The genetic or how the way parents lives relates to us especially the way we think/talk and disease or cancer. In order to change it, we must think outside the box and use it to protect our whole family.